Even though I had traveled for thirty years, I didn’t know the castle town of Carcassonne even existed till the night we happened upon it. This reinforced my belief that the world is immense and there is no way to even come close to seeing it all. This is the most amazing place of all. What made it even more spectacular was that we arrived at night and the lights illuminated just the old walls, while the extraneous newer buildings were invisible in the darkness. I had never seen anything like it. I stopped to ask if we could go inside at night. I was told that not only could we go inside but that there were hotels, restaurants, etc. – a living city! 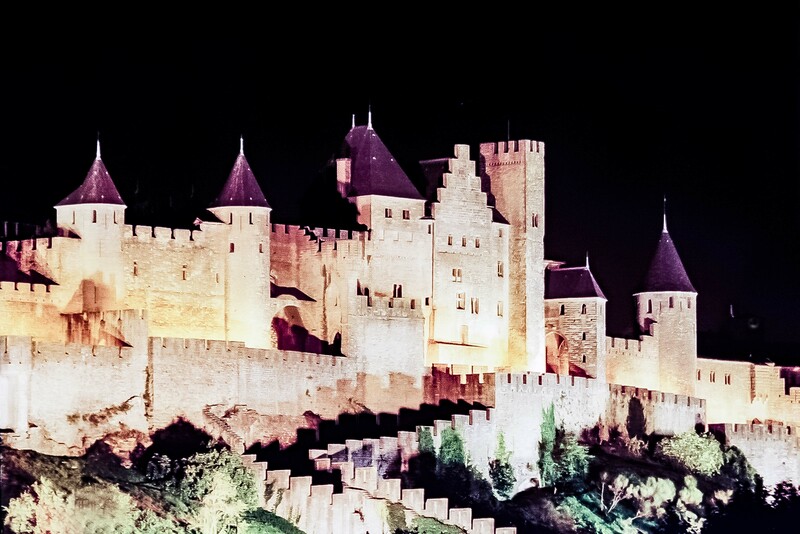 I stood in the cold and did time exposures of the old walls of Carcassonne. Then we went inside the city walls and had dinner.